Century 21 Alliances Realty Limited. 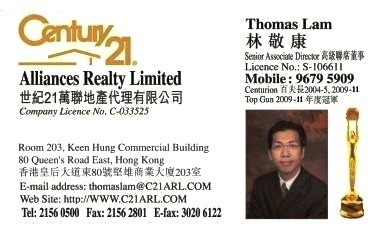 Thomas has been working as property agent since 2003. He has been focusing on the luxurious and high-end properties concentration in the Mid-levels, South Side and The Peak areas. 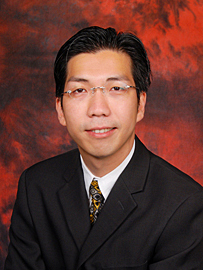 He has an excellent relationship with his clients and also maintain harmonious relationship with foreign clients. He can speak fluent Cantonese and English. During his spare time, he enjoys travelling abroad, running and hiking. Copyright © Century 21 Alliances Realty Limited. (WWW.C21ARL.COM) All Rights Reserved. Room 203, Keen Hung Commercial Building, 80 Queen's Road East, Wan Chai, Hong Kong.